PAC© processes all PIC’s orders ready for despatch, a highly disciplined and reliable operation. Marshalling PIC’s electric carts, managing order segregation, scanning and recording picked items into selected shipping cartons, producing labels and systematically applying them correctly, generating bespoke advice notes, routing via carrier-specific bar-codes, confirming order despatch plus many other processes, all managed by PAC. PAC is therefore moving rapidly between order streams to provide a wide scope of activity, from a single home delivery item in a carton, to multiple items in a single carton; right across the retail spectrum encompassing multiple carton store deliveries and pallet loads, to the Majors. 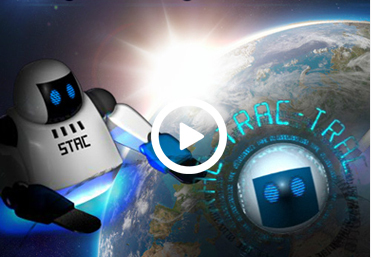 Whereas PAC is capable of looking after the packing process and parcel movements on conveyors, work buddy STAC, comes into play, when there is the need to move pallet loads.